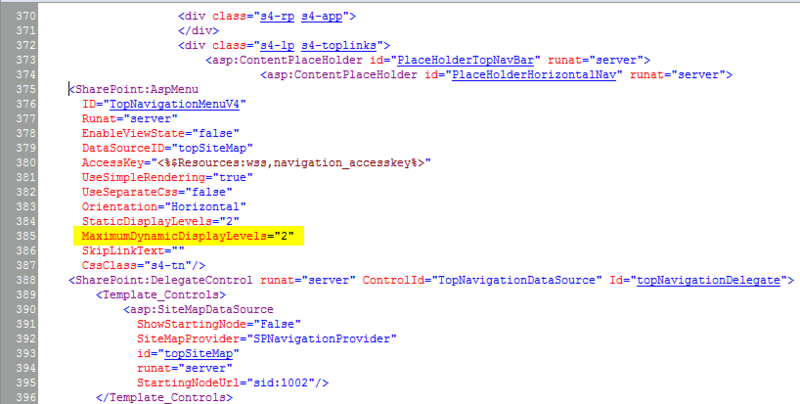 The top link bar is the set of links that provides navigation to sites within your site hierarchy. By default. only the first level of sub-sites is displayed. This is represented in the screenshot below by sites Test2, Test4 and Test5. I had a requirement to add a fly-out menu to display sub-sites. 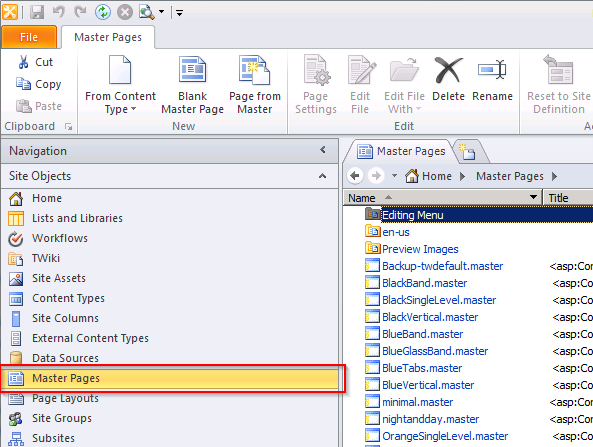 This is easily achieved using SharePoint Designer to edit the master page for your site. The top link menu is rendered by an AspMenu control within the master page and this can be configured to display multiple levels. 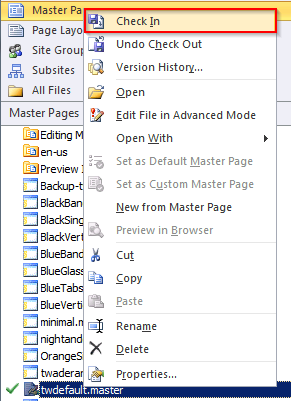 To edit the master page, open SharePoint Designer, navigate to your master page, right-click and choose Edit File In Advanced Mode. Choose to check out the file when prompted. Right-click on your master page and choose Check In. When prompted, choose to publish a major version. If necessary, approve the updated master page. You can turn on and off the display of sub-sites from Site Settings for each site. In the example below, in order to display the fly out for Test3 I opened site Test2, then went to Site Actions -> Site Settings, then Navigation under Look and Feel. Tick the box to Show subsites and click ok. This entry was posted in SharePoint and tagged Microsoft SharePoint, Navigation, Navigation bar on March 15, 2013 by richardstk.